If you’re a fan of the open road and thrilling adventures, why not turn an average road trip into the ultimate off-road experience? 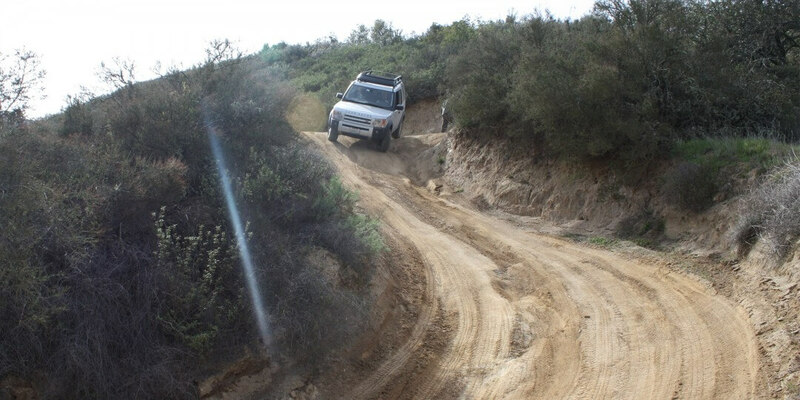 Better yet, why not plan a cross-country centred on the best off-roading trails in America? Pack your bags and hit the open the road immediately! Running from Bullhead City, Arizona to Newberry Springs, California, the Mojave Road is a 140-mile trail full of historical landmarks which will take approximately 2-3 days to complete. Home to some of the region’s most famous landmarks, including the Colorado River, Joshua Tree Forest, and Soda Lake, the Mojave Road has been travelled by explorers for the last several hundred years. As a long but easy 4×4 trail, the Washington Backcountry Discovery Route (WBDR) is a 5-6 day adventure perfect for those not that experienced with off-roading. With hotels and camp sites along the route, visitors get to choose their level of comfort and the WBDR offers diverse terrain from the temperate rainforest of the Cascade Mountains, to the high desert of Eastern Washington. Stretching along the San Juan Mountains, the 63-mile Alpine Loop Trail crosses 12,000-foot passes, 7 ghost towns, and more breath-taking scenery than you could ever imagine. While much of the trail is suitable for 2WD vehicles, 4×4’s with high ground clearance are recommended if you’re after the best views. Akin to your love of horse racing betting, if you’re a lover of gravel, then the 414-mile Dalton Highway – “The Haul Road” – is perfect for you. Complete with tractor-trailers and potholes, this rugged route from the Yukon River to Prudhoe Bay will take you 70 miles away from the closest town, so if you’re going to attempt it, be sure to take everything you need along with you. A trail so iconic that its name was bestowed upon the most heavy-duty of Jeep Wrangler models, the Rubicon Trail lies due west of Lake Tahoe and 80 miles east of Sacramento. Even though it’s only 22 miles long, the Rubicon boats extremely challenging terrain as it cuts through the El Dorado and Tahoe National Forests. Named for Lord Magruder who, along with his traveling party, was murdered along this road in 1863, the 117-mile Magruder Road Corridor starts outside Elk City, Idaho and will take you about 2 days to cover, until you get to Darby, Montana. There are primitive camping sites along the corridor and you’ll be treated to raging rivers, abundant valleys, and incredible views. While not technically in America; British Columbia still has at least one 4×4 excursion which must be experienced before you die – the Whipsaw Trail. Being only 50 miles long, this easy going trail can be completed in just 10-12 hours, but we recommend taking it slow so you don’t miss out on any of the incredible vistas. Happy trekking!